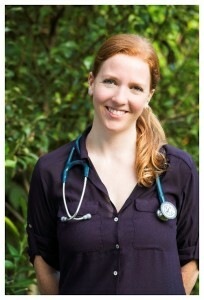 One Family Medicine was founded by Dr Kathleen Pratt in 2010. Her vision was to create a practice that supported the families in her community and give them access to comprehensive integrative health care, compassion and support through life and health. Dr Pratt strives to create smooth continuity of care that allows for true and effective healing. Please note that as of December 1st 2018 Dr Kathleen will be seeing patients in Hood River only. Phone consults and tele-medicine visits are options for patients who do not live in the area. In my practice, I combine the strengths of modern medicine with ancient wisdom. Balance or homeostasis is a powerful law of life and physiology. My practice assists you to move your body, mind and heart back into balance, creating a healthier individual. Using the modalities of nutrition, hydrotherapy, homeopathy, vitamins & herbal remedies, breathing & meditation exercises, movement and lifestyle counseling, we will craft an individualized treatment plan together. It will facilitate you on your journey back to health by correcting the underlying imbalances that lead to disease. A truly healthy body is one that is FUNCTIONING optimally on all levels. In order to fully comprehend what you are experiencing today, you must begin to grasp what got you here. It is this deep work that will ultimately permit a patient to achieve true cure and homeostasis Personally, I am deeply committed to the concepts of sustainability. It has become a lens through which I understand all aspects of my life. This avid interest allows me to uphold the same values in and out of the office—to understand, respect and support the ways by which all ecosystems regulate themselves. Certain precious resources can and should be maintained and optimized, including our natural environment, our personal relationships, and our health & vitality. I strive to know my patients, believing that getting to know my patients improves their healthcare. I grew up in rural Maine exploring the outdoors with my dad and riding horses with my mom. They instilled me with a passion for life. After graduating from Ithaca College, I lived in the mountains of Utah. These years allowed me to spread my wings, travel around the world and discover my true life path. I moved to Oregon to begin that journey at the National College of Natural Medicine. It was here I met my husband and his wonderful son. Now we are a family of four with the addition of my daughter in 2013. Together, we continue to explore the outdoors- skiing, mountain biking, and kite boarding. In 2016 we were able to move to the amazing community of Hood River, Oregon. 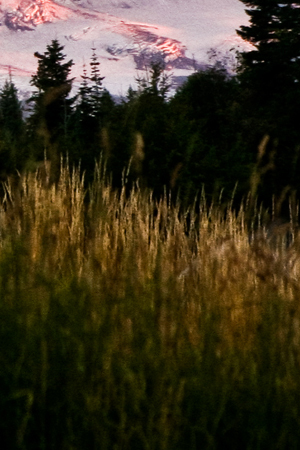 It has allowed me to help a new community in the Gorge and Hood River achieve optimal health. I graduated National College of Natural Medicine with as Doctor in Naturopathic Medicine and Midwife. My education trained me to be a board-certified, primary care physician, with specialization in women’s health, midwifery and pediatrics. I received my license for natural childbirth and Certificate in Obstetrics through intensive didactic training at NCNM and a two year internship with naturopathic doctors and certified nurse midwives. I also completed a three year internship with a focus in women’s health. My practice is focused on the entire family, with a concentration on the women and children of the family. Dr. Kara Noe has taken over Dr Kathleen’s Portland area practice as of 2019. Good Health Naturopathic Medical Center, LLC, will now see patients with Dr. Kathleen in a consulting role through 2019. Dr. Kathleen will continue to see patients in One Family Medicine’s Hood River office. Dr. Kara and Dr. Kathleen are working hard to ensure continuity of patient care. Dr. Kara acquired her Naturopathic Medical degree with honors from the University of Bridgeport College of Naturopathic Medicine after completing her pre-med education at Central Connecticut State University. Her passion for the principles of naturopathic medicine keeps her attention focused on treating the underlying cause of health issues instead of simply treating symptoms. She aims to inspire patients to take charge of their own health, with an emphasis on prevention as the best form of medicine. Dr. Kara has experience and interest in the fields of women’s health, GI health, and general primary care. She also has a special interest in treating autoimmune diseases, with extensive experience in autoimmune thyroid disorders. In her time off, Dr. Kara enjoys practicing yoga, traveling, and hiking with her dog, Turner.